Michèle Flournoy is Co-Chair of the Board of Directors of the Center for a New American Security (CNAS) and a Senior Adviser at the Boston Consulting Group. 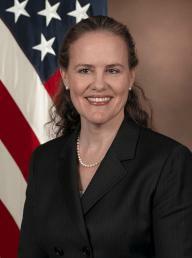 She served as the Under Secretary of Defense for Policy from February 2009 to February 2012. She was the principal adviser to the Secretary of Defense in the formulation of national security and defense policy, oversight of military plans and operations, and in National Security Council deliberations. She led the development of DoD’s new Strategic Guidance and represented the Department in dozens of foreign engagements, in the media and before Congress.